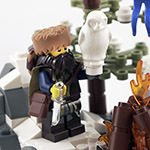 After landing on Grimfell, explorer Mikkael Cacao set up a plantation on the outskirts of Andarheim after finding something interesting in the jungle. While cutting down trees to clear an area for a farm, Mikkael discovered a type of bean in the trees. Upon experimentation, he discovered that by grinding them up and mixing them with sugar and water or milk, it created an amazing drink. He decided to name them cacao beans, after himself. Keeping part of the jungle alive to continue his research and supply of the beans, they cleared another swath of land to farm. Now, with troops patrolling the plantation, the farmers have built a storehouse, started plowing the land, and are bringing goods into town. 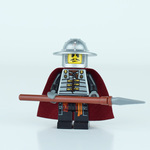 Additional pictures available on my Flickr stream. For Garheim! Wha-ah?? Garheim has chocolate!?!? If there isn't any in Lenfel territory then forget a Loreesi invasion over gold - THIS is the real reason to go to war: control of the chocolate industry!!!! 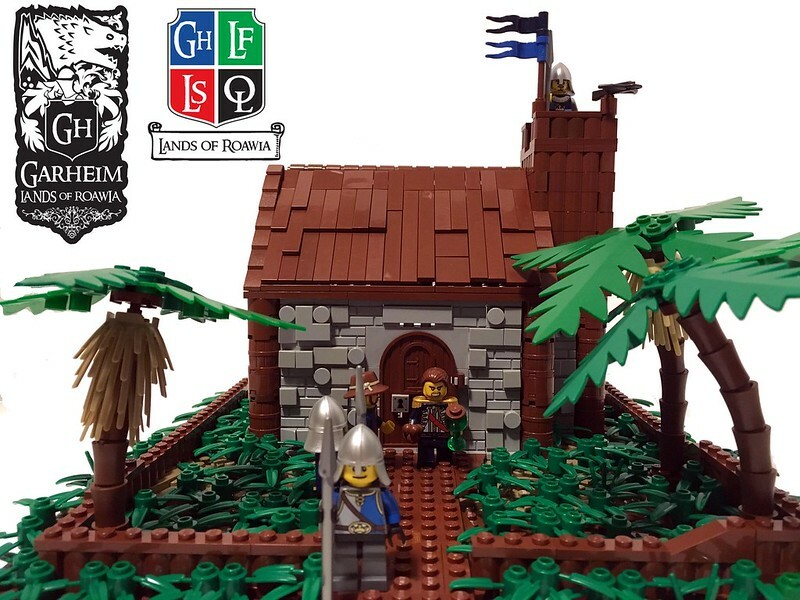 Awesome idea for a farm Lord Silver and well executed. It's good to see the isles developing! Henceforth Global Faction points will be awarded to factions for advancing a settlement to the next level in this challenge. This will mean that factions are now rewarded for developing their colonies in the GWI. While the next GC will take place in the isles, after that the action will mostly move back to the mainland and this challenge will be the main way that builders who wish to focus on the new world can assist their factions in the global scoring. These changes will not be retroactive, and points will be rewarded from today onward. Points will be rewarded as follows. Sten Moeller made the voyage across the sea from his hometown of Jharton to Andarheim for the purpose of establishing the settlement’s first mill. It quickly became apparent that the meager amount of agricultural development around Andarheim would not be enough to support his millwork yet, so Sten expanded his enterprise by adding a merchant stand and dock. 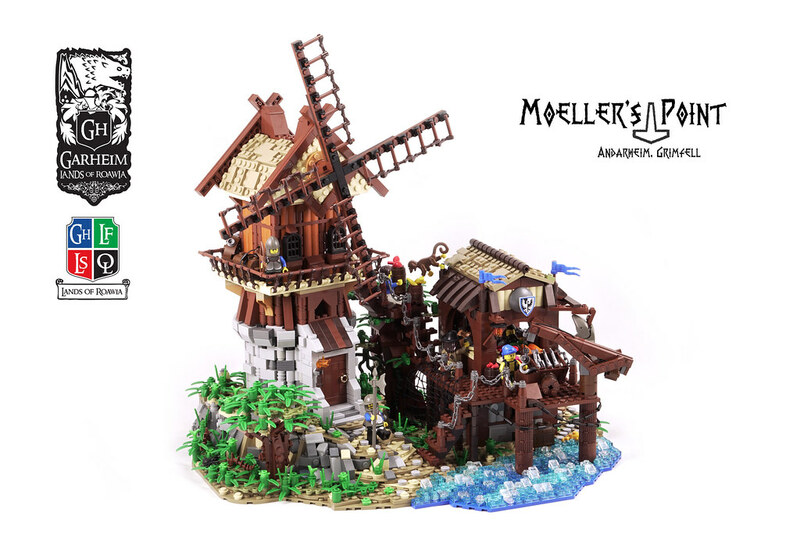 Through the sale and barter of everything from fishing tackle, to farm implements, weapons to tools, and of course seafood and crops, Moeller’s Point quickly became not only a very profitable venture for Sten, but also a great help to the rest of the residents of Andarheim. 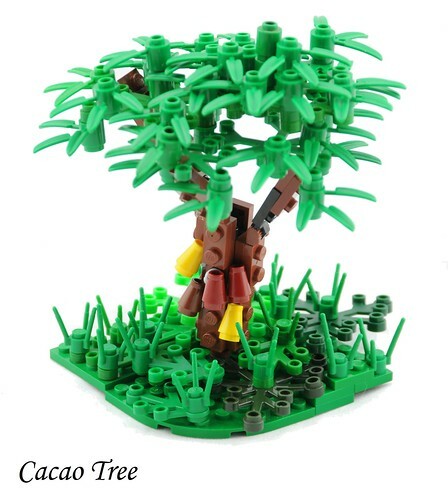 Shout out to Lord Silver and Ayrlego for the Cacao tree inspiration. 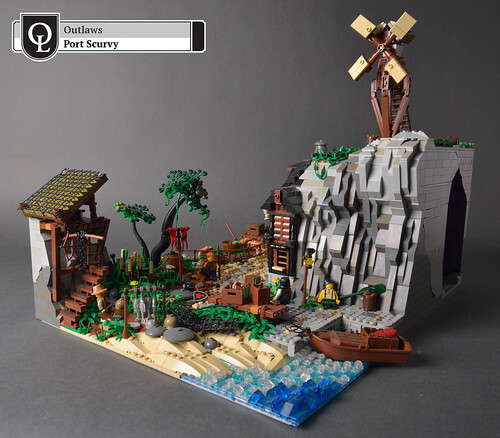 I was reading through this thread to look at examples of types of builds (I'm going to try a couple of builds to get Port Valiant up to level one). I hope you don't mind me asking Ayrlego, but how did you decide that the Falcon tower was to be classified as an agricultural entry? Good point. I hadn't noticed that before. Seems more like a military building to me. All fixed now, thanks for pointing it out! Haha! Glad it's that simple. Makes more sense now. I am going to try and create a couple of economy buildings in the next couple of weeks so we can get it up to level one. We're actually into level two on a number of the categories but I am aware I can only contribute twice per month. ...when I copied the BBcode from my previous entry so the font and colour matched, I forgot to change agriculture to Military. ALL: Settlement levels on the front page are now fully up-to-date after the results of the GC. Also the Outlaws have levelled up Port Scurvy to 'Initial Settlement'. Twenty points have been added to their global score meaning another change in global ranking! Thanks all, looking forward to seeing some more great entries soon!!! On the outskirts of Andarheim, newly appointed governor Andrey Reisson has set his new mansion. A simple 2-story building, it is all the governor needs at the moment. Patrolled by multiple guards, the mansion is bordered by a low wall and made primarily of wood and stone. Currently, Governor Reisson is in a heated discussion with explorer Mikkael Cacao on the newly-discovered cacao beans. First Garhim governance entry, and that brings it to level 1. Enjoy (bonus pictures on Flickr)! When I said I was looking forward to more entries soon I honestly didn't expect two awesome entries in less than 24hrs! !